For those who like to plan ahead, the show is May 5th & 6th. Actually, things will start on Wed the 2nd! Thanks for the heads-up winton. I edited your post, we can see the image now and deleted your second post. I paid for my table before the show was over! The 2017 show was sold out at the end of the 2016 show. There is still tables available for 2018. In related news, I asked for vacation for the 2018 show, the day I returned to work from the 2017 show. I hope my boss wrote that down on the calendar. When I started I greeted pipe shows with exultation, but I soon leaned that window shopping was not my style, as I never had much money to spend. I still don't. Were I to go to Chicago I would not do so with less than $5K-$10K in my pocket. To have within my grasp hundreds of such beautiful objects without the ability to take home 2 or 3 is not going to wash. So I go to none of them. Who do I talk to about getting a table? Been trying to get ahold of Craig Cobine, with no success. 2. The pipe drilling/stem fitting class for 4 students. $175, which includes the pipe finishing class. 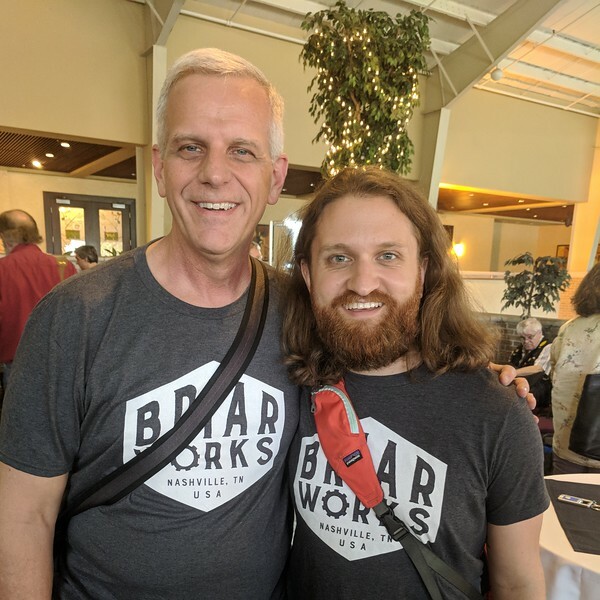 The pipe finishing class includes a pre-drilled block which you will finish under the guidance of our professional pipe makers LEE ERCK and ANDREW PETERSEN. JEFF GRACIK and ERNIE MARKLE will join our instruction staff, this year. Beginners are welcome. Our faculty of professionals will make sure that you make a pipe that you will be proud to own! There will be a total of 12 students, of which 4 will also take the drilling class. The pipe drilling/stem making class is limited to students who have completed the pipe finishing class in a previous year. This class includes a block and stem that you will drill and fit and a pre-drilled block that you will also finish. Please note that you are not registered until payment is made. It's true, a pipe show always ends up in purchases, usually more than planned. If you can't control that within reason, best not go. However, if you can budget it and have in mind what you are looking for, often you can get some excellent deals. One year I went to find a panel and found two, an unfinished Sav and then a hand-carved Jerry Perry. 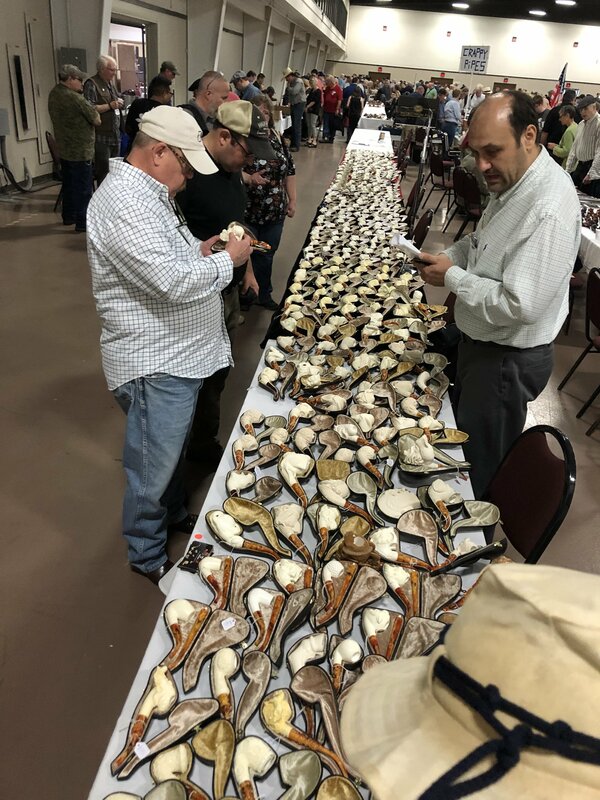 Another year, making my second round of the tables at the end of the day, I was admiring what was left on the late Bob Hayes' table, and he astonished me with a price on a bamboo shank straight Dublin I was admiring. 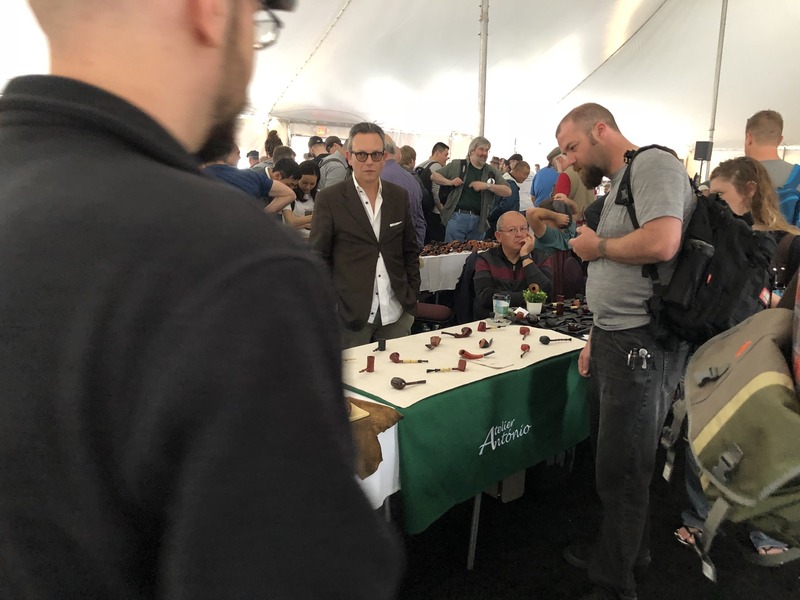 Another time, smokingpipes brought a Luciano to the show to save me shipping and gave me a pipe show discount besides, about a half or a third of what the pipe would cost unsmoked today. So it is a calculated risk. Don't go broke. But if you can exercise some restraint, you can often find some good deals. Ironically, growing up in the Chicago area, I've never been to that show, but have enjoyed the TAPS show in N.C.
Now that's an all star cast of instructors!! I learned everything I know from Bernie Garble. He's the best! I took the finishing class in 2016. Now I appreciate how much work goes into these pipes. mso489, My strategy is to have cash in pocket. When the pocket is empty, I can't buy anything else. If anyone needs me in exactly six months, I suggest looking for me in the smoking tent! 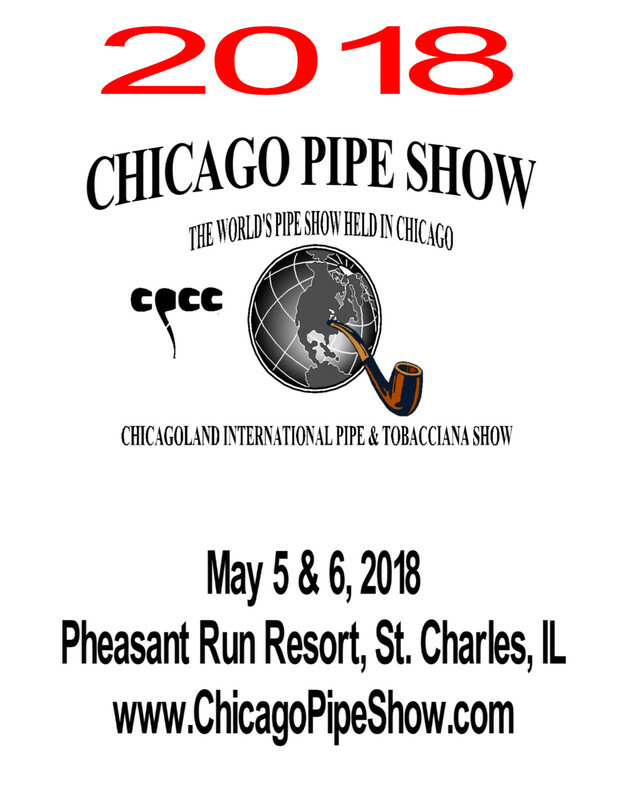 Pipes and tobaccos magazine is again this year pleased to join the Chicagoland Pipe Collectors Club (CPCC) and the Doctors of Pipes in sponsoring the annual Master of Pipes awards, to be presented at the CPCC cigar dinner of the Chicagoland Pipe & Tobacciana Show on May 5, 2018. 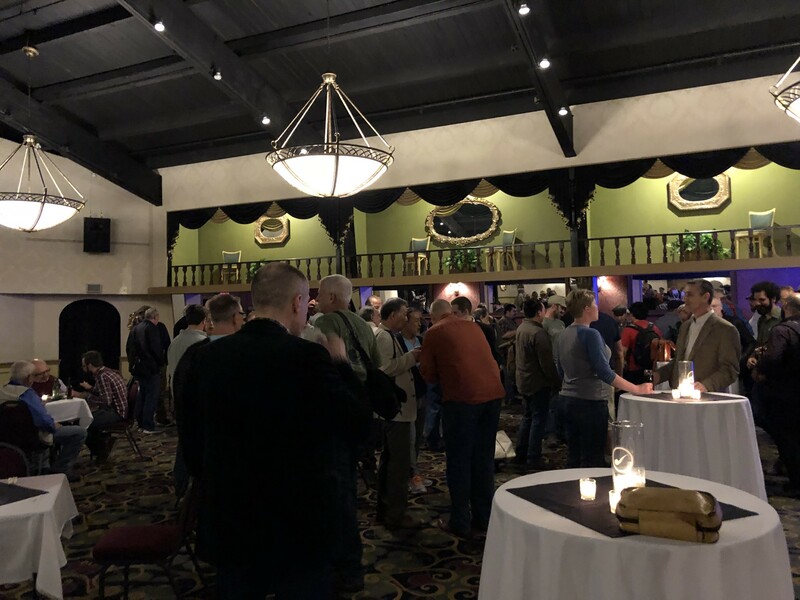 The title Master of Pipes, first conferred at the 2017 Chicago show, is an annual recognition of select pipe smokers and members of the tobacco industry who have contributed significantly to our hobby but who have not yet been active in the pipe community for 20 years or more (a requirement for the Doctor of Pipes award). The first Masters of Pipes named were David Shain and Sykes Wilford. Qualifications for the Master of Pipes award are the same as those for the Doctor of Pipes award except the service requirement is reduced to seven years and an age cutoff is stipulated to encourage younger pipe activists, who are an increasingly important part of our community. Therefore, the Master of Pipes is open only to individuals who are 45 years old or younger as of Jan. 1 of the year of the award. New Masters of Pipes are elected by current Doctors of Pipes. P&T magazine will serve as the front line for receiving nominations to be considered. • Master of Pipes nominees must have at least seven demonstrable years in the hobby and/or the industry. • Nominees must prove their age will be 45 years or less as of Jan. 1, 2018. • Nominees must be engaged in activities that promote pipes/pipe tobacco and support the pipe community. • Individuals may not nominate themselves, although cooperation in the process will be necessary by both submitters and candidates. • As with the Doctor of Pipes award, two Masters of Pipes will be conferred. One will be in the industry category, for people working in pipes — retail, manufacturing, distribution, photography, publishing — anything that earns the nominee a living within the pipe community. The other Master of Pipes award will encompass hobbyists. 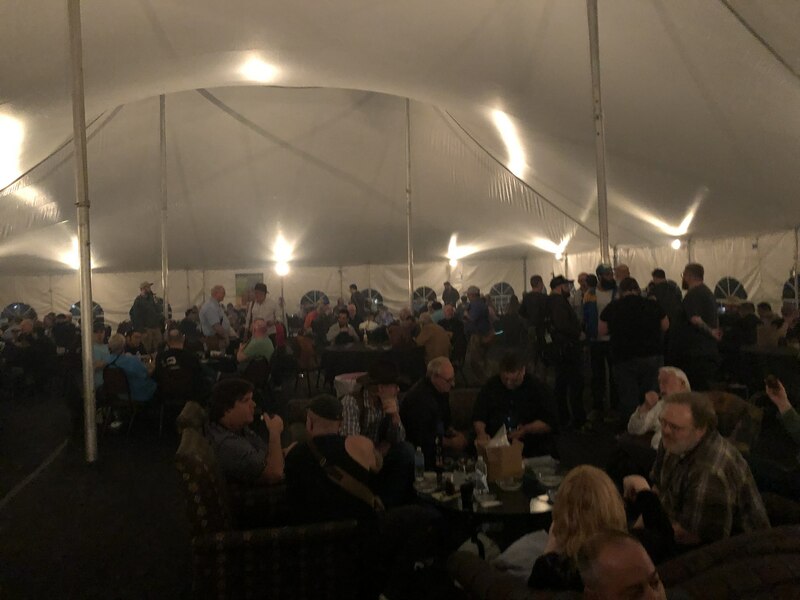 • As previously stated, recipients will be awarded at the CPCC cigar dinner during the Chicagoland Pipe & Tobacciana Show on May 5, 2018. Please note that attendance is mandatory. • A committee chosen by P&T magazine will review nominations and submit five to the Doctors of Pipes, who will review the candidates’ qualifications and choose the winners. 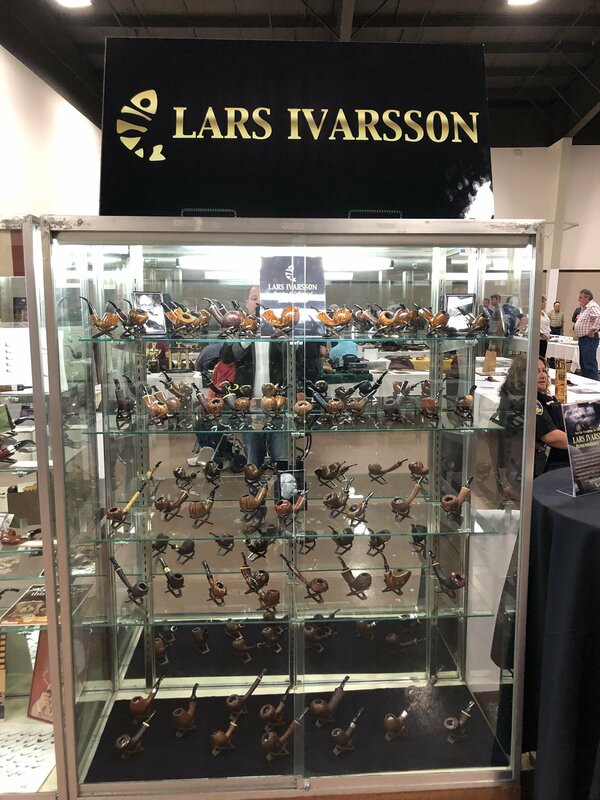 • At the show, each winner will receive a framed certificate and a lapel pin indicating his or her selection as a Master of Pipes. • A Master of Pipes is eligible for a Doctor of Pipes award in the future. Or, preferably, you may send your nomination via email to wcn@pipesandtobaccosmagazine.com. Remember to write the nomination honestly and to the full advantage of the candidate, including the person’s contributions to the hobby. This is what will primarily be used to judge acceptability, so please be thorough. Nominations that do not include contact information (both email and telephone number) for both the submitter and the candidate will be disregarded. We will research the candidates and find the best five that we can to forward to the Doctors for final selection. Nominations must be received on or before Sunday, Dec. 31, 2017. Please forward questions via email to William C. Nelson, wcn@pipesandtobaccosmagazine.com. The award will be covered in the pages of P&T magazine, including photos of the winners. If possible, the new Masters of Pipes will be featured on the cover of the magazine (dependent, among other factors, upon the photogenic charms of the people involved). If any of our Mods meet the criteria, let me, or Kevin know. 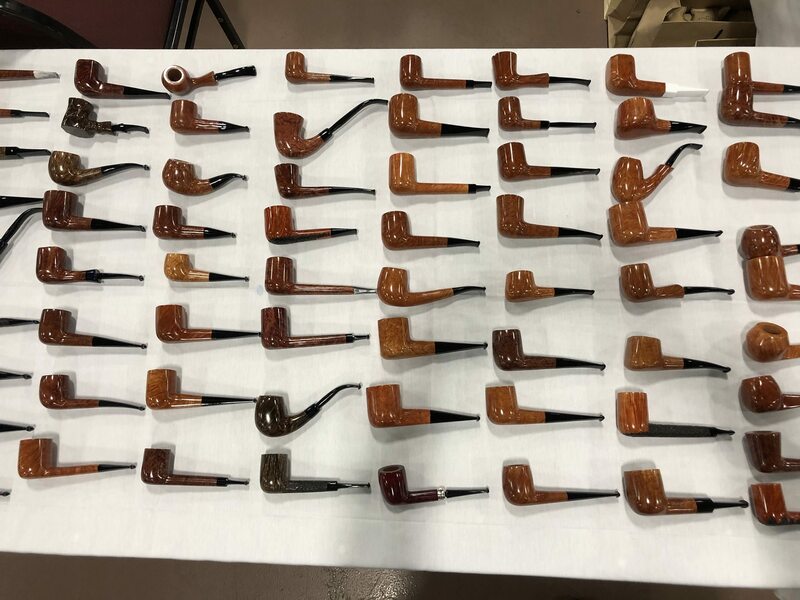 The UPCA National Pipe Smoking Contest is going to happen in the Smoking Tent on Sunday May 6th at 1:00! 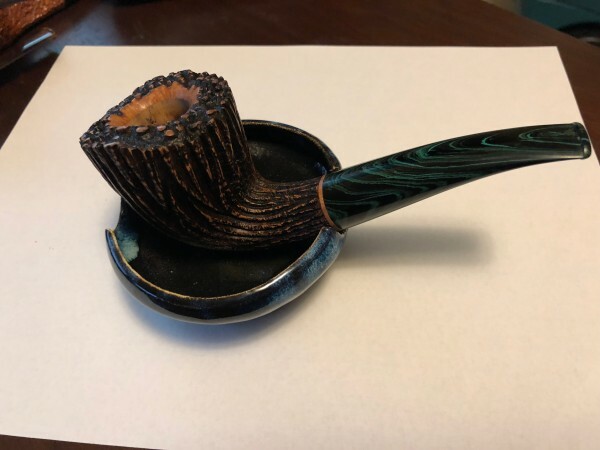 A picture of the contest pipe is on their website. Full details have not been posted yet. I have already registered and paid! Just booked my room and flight. Haven't been able to attend since 2012. Looking forward to the show. Today, I am announcing that the Chicago Bowl will be flake tobacco with latakia! This could be a coin, regular flake, or broken flake. There will be several blends, without labels, available for tasting. Vote for the one you enjoy the most. Saturday afternoon the voting will be completed and later we will announce the winner by the popular vote. In future years, we plan on exploring Virginia and Vaper flakes. If you have not tried a flake, do a search on YouTube for flake preparation. There are lots of ways to smoke a flake. Could we have a contest, "Flakes smoking flakes"?? I'd sign up for sure. If I were to only be able to attend on the last day, the 6th, would it still be a big scene, or does the show dwindle down significantly by that time? The slow smoke contest requires the pipe be in your mouth when you tamp. Basically, they don't want you to surgically move one twig of tobacco around and only burn one piece at a time. The show is fairly slow on Wed, building to Friday / Saturday and then tapers down on Sunday and Monday morning. There is still fun things happening on Sunday. Also, that is when lots of deals are made. Cash is easier to haul home than briar. I am looking forward to this years show. It has been a couple of years since the last one I attended. Not sure how much money I will be able to spend...come on tax return! I haven't decided on the slow smoke contest. I have never participated before. HERE ARE THE CHOICES FOR OUR 2018 SATURDAY NIGHT BANQUET. MENU SALAD AND BREAD:Field greens salad: romaine, California iceberg and baby greens garnished with English cucumbers, tear drop tomatoes and julienne vegetables with selection of Ranch or Italian dressing.Chef's selection of hearth baked breads and rolls served with creamery butter. DESSERT:Alternating settings of flourless chocolate cake and New York cheesecake with raspberry infusion in a graham cracker crust.Coffee, decaf/instant coffee, tea and iced tea.A cash bar will be available. Everyone attending the dinner will be entered in a drawing for a box of fine cigars donated by five dinner sponsors.Please make you dinner selections in advance. 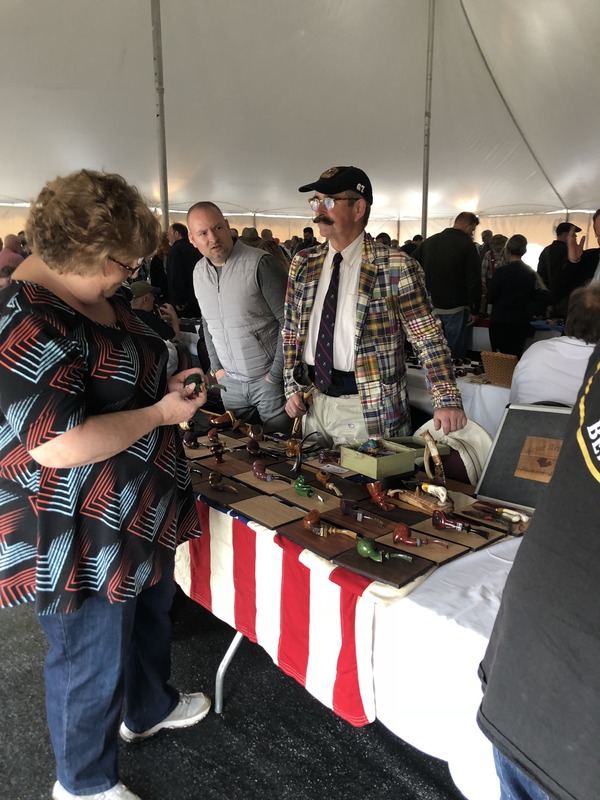 I think the "New York" pipe show in New Jersey, and the "Chicago" pipe show in St. Charles, Illinois are the two largest in the U.S., aren't they? But there are a number of excellent shows around the country, and the North Carollina TAPS show next Saturday, April 7, is one of the best. I'll have to confer with my budget to see if I can make it, but when I've gone, it has been first rate. 9 am Chicago Bowl, the pipe smoker’s award for English Flakes opens in the tent. 9 am Chicago Bowl, the pipe smoker’s award tor English Flakes opens in the Show. 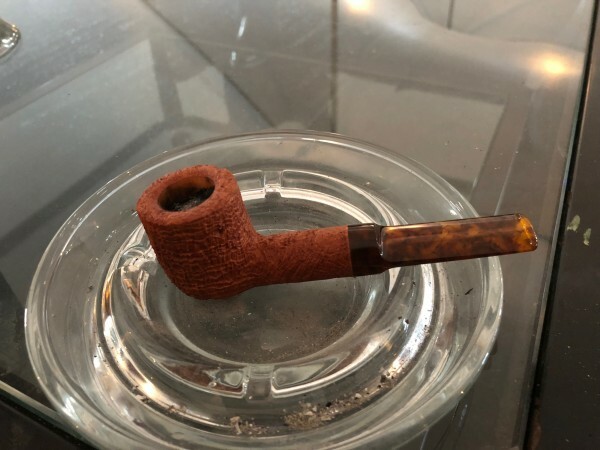 11 am Chicago Bowl, the pipe smoker’s award for English Flake ends.. I will be there. Got all my travel plans booked. Dave, I hope you are taking your camera (at least smartphone) with you. Looking forward to another great show! See you guys there. Thanks for posting the schedule. See you all there. Yeah I'll be taking some pics and video. Also planning to bring a very aged tin of Virginia Woods to crack open and share. Be traveling with Shaintiques. I’m getting pretty excited. 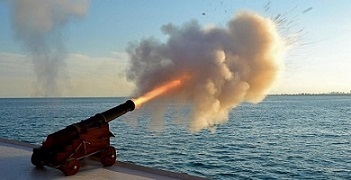 Someone please make a post with plenty of pictures after the fact, or even a thread, just so that those of us who are living vicariously can join in. I was at Pheasant Run on Wed. Sorry no pictures. Simply a planning meeting. 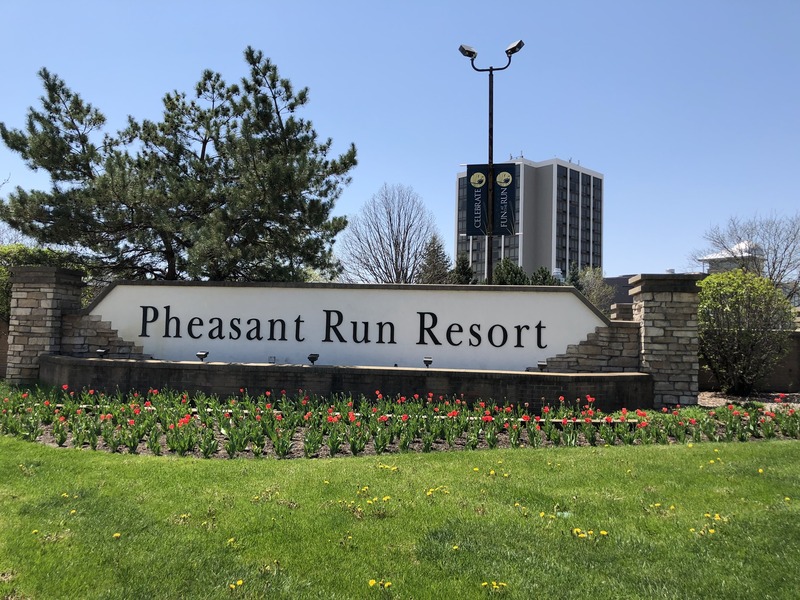 A guy on another forum, said he was at Pheasant Run this weekend. Perhaps I will meet him there tomorrow. I can't wait to see so many of my friends in a few weeks. 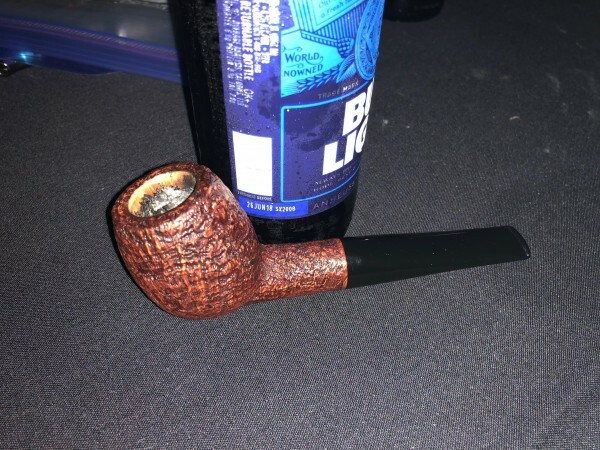 I haven't made it to a meeting of the Chicago Pipe Club since last April, because of moving, having a baby, and seeming to always have unmovable events on club nights. Excited to see you and the other club members at the show, John! Mike, the April meeting will be at 8 to 8. The owner now has two locations. 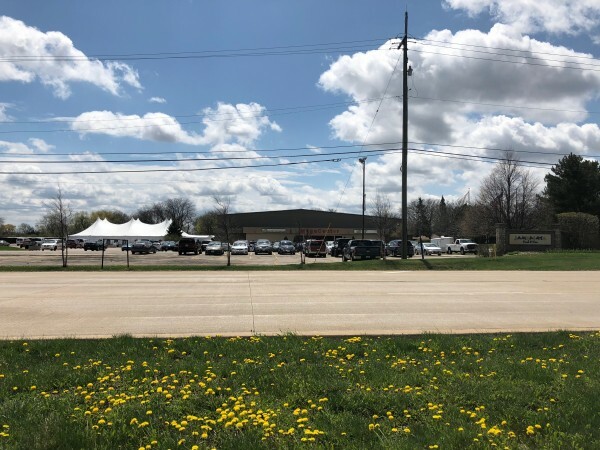 The May meeting will be at the new location in the northern suburbs. Always welcome to see you, but we don't want you to go to the wrong location. Smokingpipes published a story about the last pipe that Lars Ivarsson made, before he died. This has been donated to the silent auction for the Chicago Pipe Show. The link is below. We would like to thank the Ivarsson family for their support and generosity. 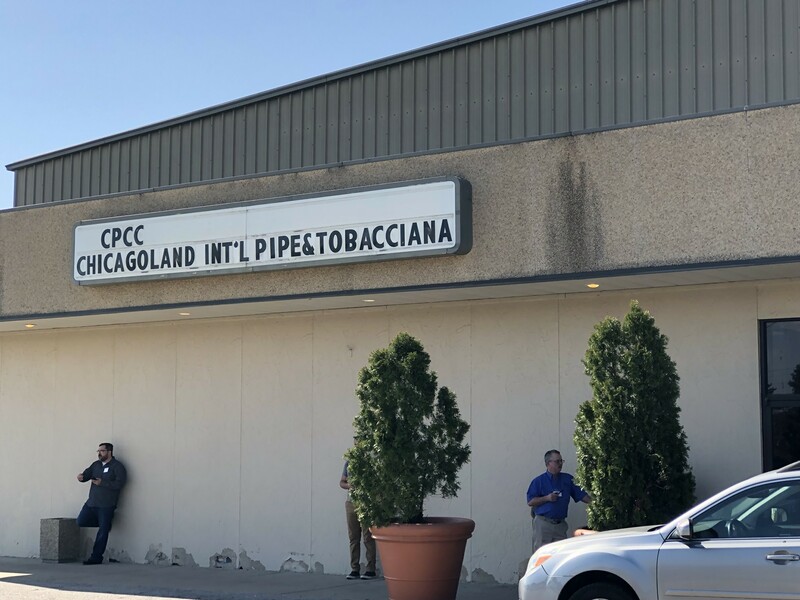 Yesterday, the Chicago Pipe Show opened! The pipe finishing class has started. 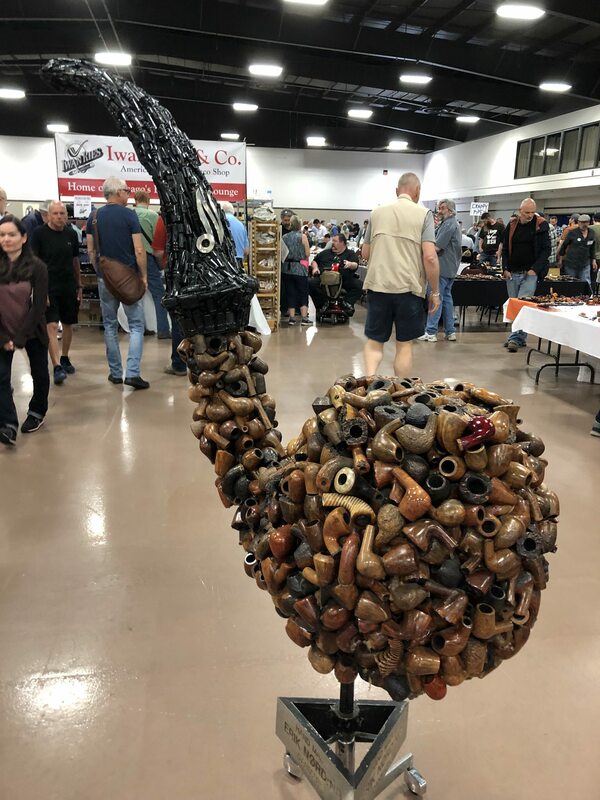 I met several pipe makers that I have seen each year. There was a small crowd in the tent last night. 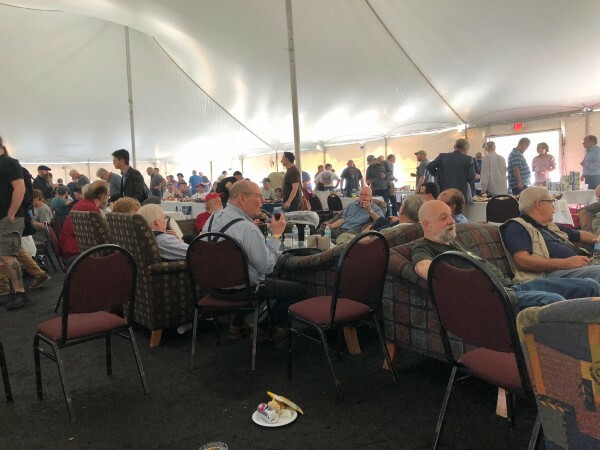 The guys at the table I was sitting at discussed pipes, tobacco, work, motorcycles, travel, wives, and all the other topics that men talk about. The torrential rain was interesting, but the tent was dry. The crowd will start getting bigger tonight and MUCH bigger the rest of the weekend. Be sure to talk to me if you see me. I am the bald guy, with a grey hair and beard. I probably will be smoking a pipe. I am the bald guy, with a grey hair and beard. I probably will be smoking a pipe. 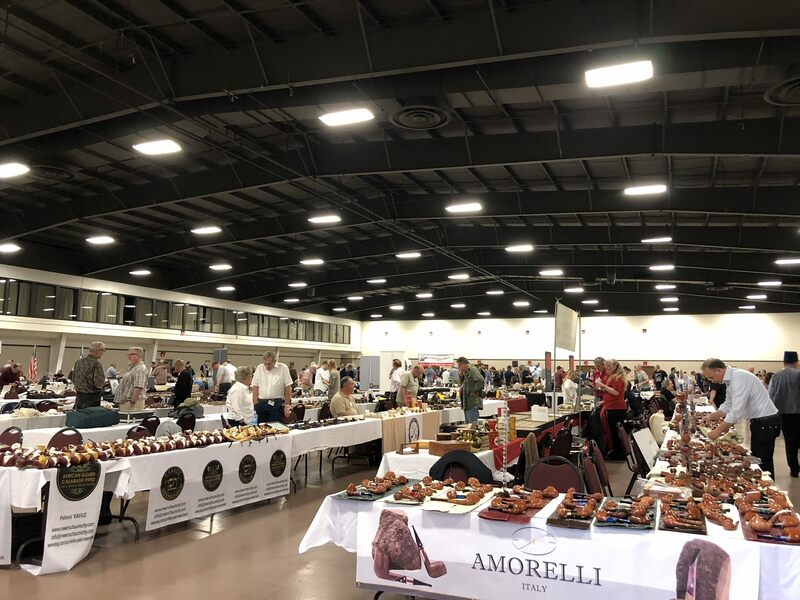 I updated the title to be the official picture thread for the 2018 show, so show those pix! My buddy Dave is there on his bike, and definitely not digging the rain (BIG dud, BIG beard). We need pix! No, really! OK, I'll break the logjam. This is a photo of me and Jon David Cole from The Country Squire. I have a couple photos from the pipe finishing class I'll share later after I get them out of my camera. A proud Npod with his new Suhr pipe. The maker, Johannes Rasmussen, is also proud to take a selfie with its new owner. Tom Eltang cutting up in the background. I know a whole lot of people will probably ask, but i'll ask anyway. Is there anyone at Chicago that can and want to help me get a few McClelland tins at those once-upon-a-time prices? Thanks for the photos. My jaw dropped when I saw the McClleland photo. Very cool of IWR to hold back some tobacco. 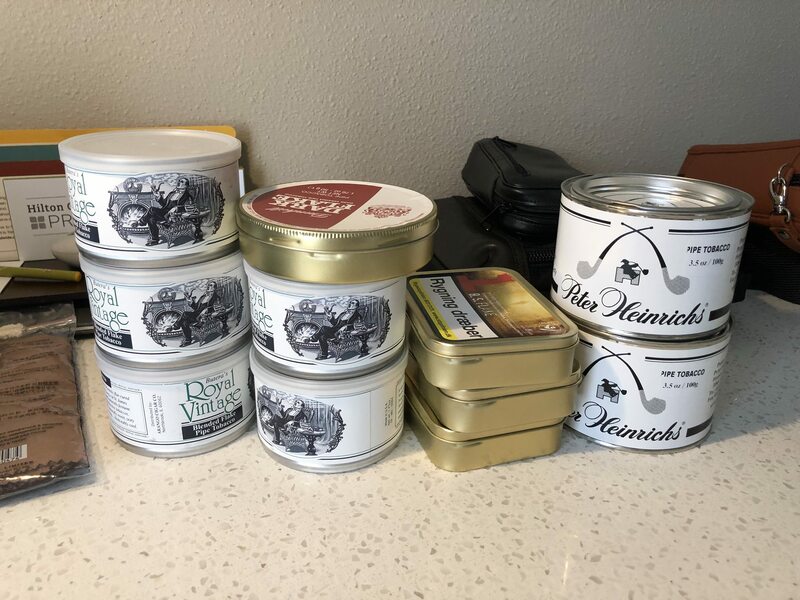 Would love to pick up a few tins of what I missed, like Grey Havens I spent this morning jarring up a batch of tobacco I ordered from Motzek so all is not lost. +1 on the McClellend pic. Wowzer. I would also be mighty glad to get some from a willing participant, although this is a long shot. I skipped the McClellend stuff but got some smokers havens. No limit on those. Picked up my 1st Sav 320 also. I could only spend a few hours there but next year I will plan better. Great show and a great location. Thanks to all the workers for putting it together. I like the hand made "Crappy Pipes" sign in the background of one photo. Wow, great pics, guys. Thanks for posting. McClelland for $13 and $22? Wow. The owner is the husband of Scottie Piersel if I am not mistaken. Great pix! Hope y'all have a great show! Thanks for sharing those pics. 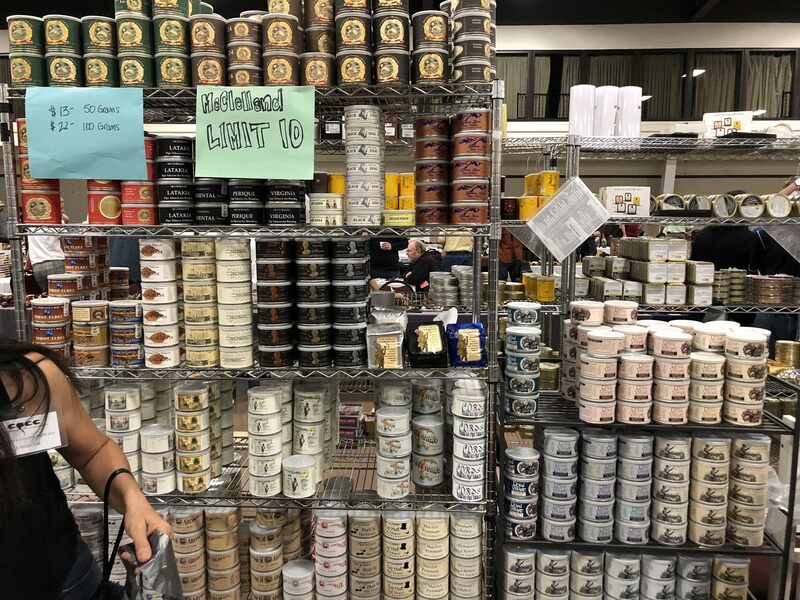 Glad to see a vendor selling McClelland for a reasonable price. Wish I was there to add some to the cellar. Thank you gentlemen for sharing these pics, I almost choked on my coffee when I saw the McClelland prices! Show us some Crappy Pipes! Me giving Paulson (Son of Paul who makes Larryson pipes) $200 for the first pipe he ever carved. A bit later, the Paulson pipe seeing it's first smoke. 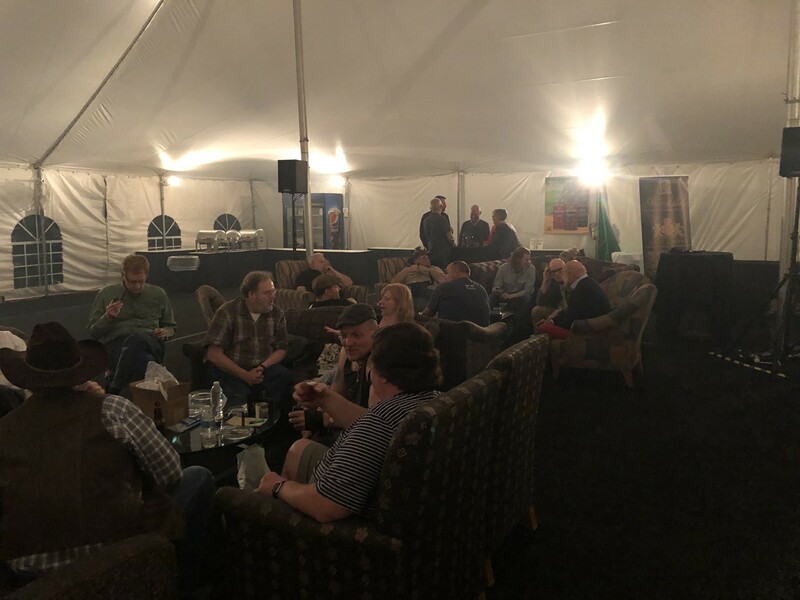 Shots from the smoking tent last night. This is where you meet great dudes and gals. It’s like Disney Land for a pipe smoker. 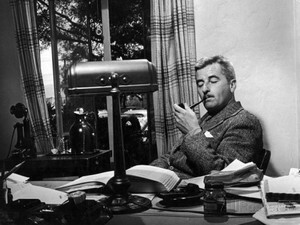 At any time you can just walk around smoking a pipe and talk to like minded people without having to explain yourself. Everyone “gets it” here. And for those who don’t know, you can smoke in the rooms also. Lots of after hour parties going on. Hoosier above is a great guy. 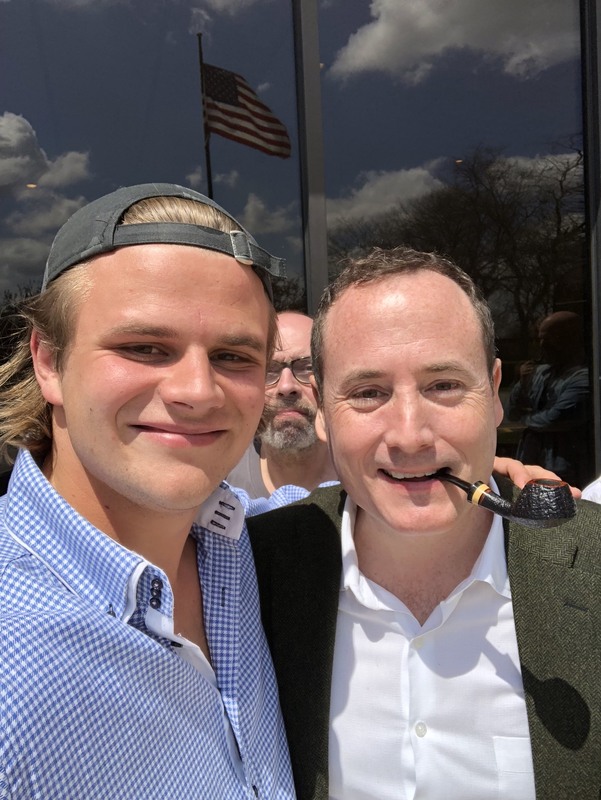 We smoked together and he was seriously happy with the Paulson pipe. 3 Generations of Larryson. 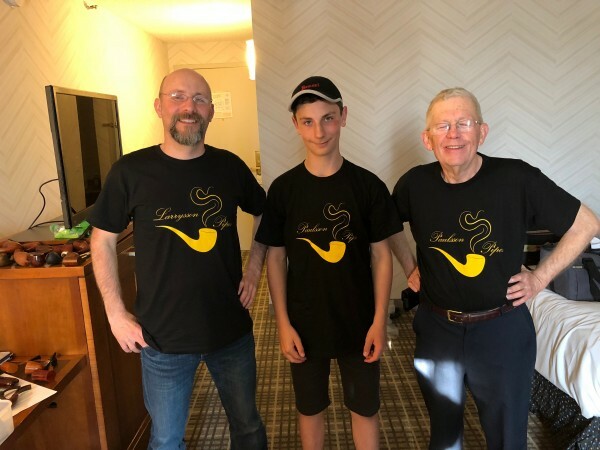 Father Larry, Son Paul (who carves the Larryson pipes) and Isaac who is 12 and carves the Paulson pipes. You'd be hard pressed to find 3 finer people. The second Paulson pipe I purchased, a nice blast Devil's Anse. 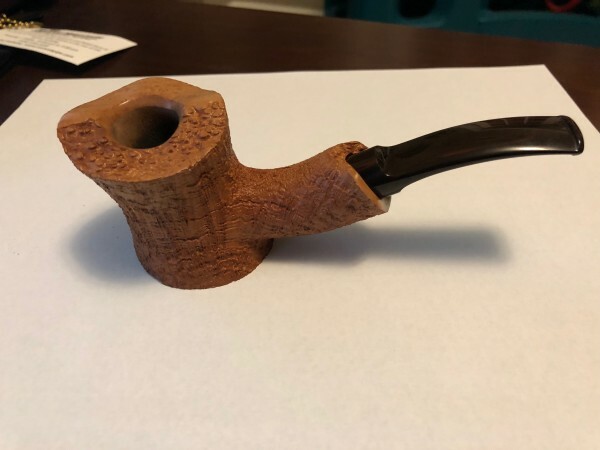 My first Larryson purchase, his Sequoia Bark carve. My Second Larryson pipe purchased at the show. Smokingpipes.com pre show party on Thursday. This was like the Who’s Who of the pipe world. Great event put on by a great company. Friday pre show tables (first come first serve) and chances to venders that didn’t have a table at the main show (and some who did).